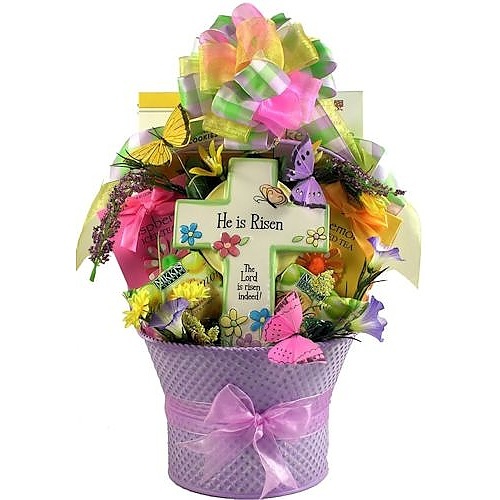 This glorious and inspirational gift basket makes a fantastic gift for anyone on your gift list this Easter! It is stunning! Aside from it's beautiful presentation, this christian Easter basket is also filled with a wonderful assortment of snacks and sweets and it includes a beautiful keepsake cross decoration that they will treasure for many years to come!